Lenovo chairman and chief executive, Yang Yuanqing. The company, with revenues approaching $US50 billion is now looking to transfer its success in the PC market to mobile, enterprise and ecosystem. According to the latest industry figures (October 8, 2014) from IDC, Lenovo is the clear global leader in PCs for the sixth straight quarter. It has reached the 20 per cent mark and achieved record global share. Meanwhile, the global PC industry showed signs of improvement with a modest decline of just -1.7 per cent, significantly better than IDC’s earlier prediction of a -4.1 per cent decline. In reporting shipments for the third quarter, IDC analysts said Lenovo achieved 20 per cent global PC market share, up from 19.4 per cent in the second quarter. The company grew 11.2 per cent year-to-year, gaining 2.3 points and extending its lead over the number two player from 0.2 points to 1.2 points. This performance added up to more than 15.7 million shipments for the quarter. 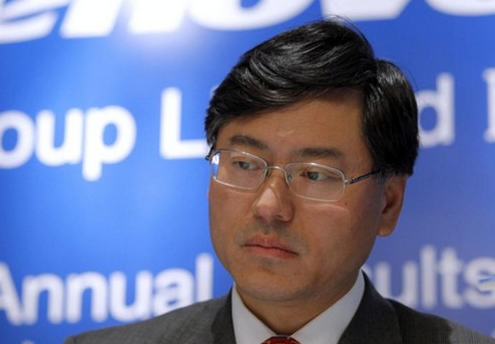 Lenovo chairman and chief executive, Yang Yuanqing, said reaching the 20 per cent mark was a great milestone for Lenovo. "While others have been looking for a game plan that works, we have been executing ours and the results speak for themselves," he said. "Not only have we reached another record high and solidified our PC leadership position for the sixth straight quarter, but we have diversified our business at the same time. "We are number two in the growing PC+tablet market and number three in global tablet sales and servers. And we will soon be number three in worldwide smartphones." Despite its increasing size, Yuanqing said Lenovo had remained consistent and nimble. "We are confident our strong growth will continue because we are focused and will continue to leverage the current industry consolidation trend to fuel our growth in PCs," he said. "Meanwhile we are consistent and clear with our strategy, which with the close of the System X deal and soon to be completed Motorola Mobility acquisition, will give us three growth engines – PC, mobile and enterprise." He said with the right balance of innovation and efficiency the company would launch even more exciting PC, mobile, enterprise and ecosystem products in the near future and the long term. "Even this week, we will unleash new innovations that will strengthen our YOGA family and again excite our customers with new, creative and stylish products," he said. "To keep our momentum, we need to keep finding new growth engines, and new ways to evolve our business.